Johnston’s Pier was the predecessor to what most people would recognise as Clifford Pier today. 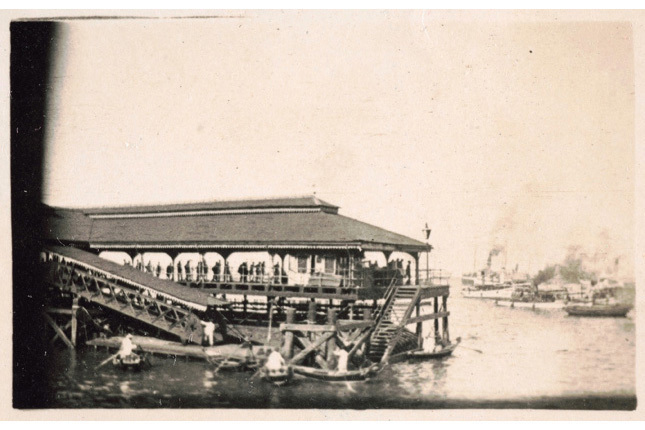 It was officially opened on 13 March 1856 to help cope with the increase in sea-traffic, and was the first pier in Singapore that extended from the shore out to the sea. 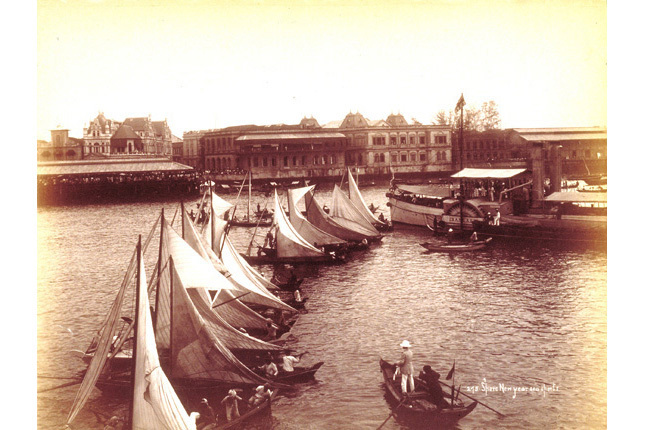 Named after Alexander Laurie Johnston, one of Singapore’s earliest European settlers, Johnston’s Pier was also affectionately known as Lampu Merah (Malay) or Ang Teng (Hokkien), which means “Red Lamp”. This was in reference to the red lantern hung at the end of the pier that served as a warning for incoming sea-faring vessels. 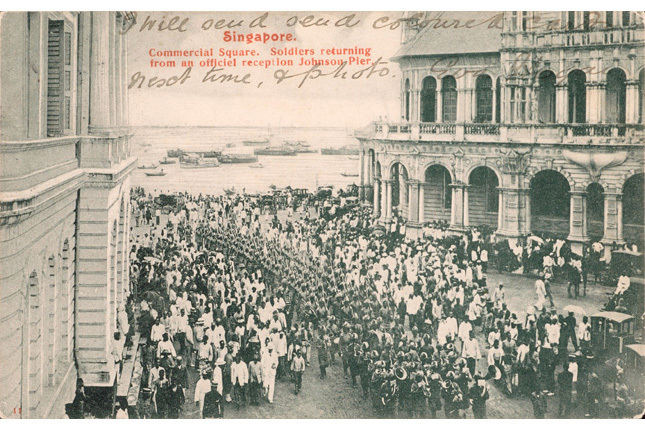 In 1927, Johnston’s Pier size was deemed inadequate to handle the volume of traffic, leading to the construction of Clifford Pier that was officially opened on 3 June 1933 by then Governor of the Straits Settlements Cecil Clementi. Designed in the Art-Deco style by Frank Dorrington Ward, Clifford Pier measured 204-foot long by 110-foot wide and was noted for the distinguishable concrete arched truss that enveloped the exterior. 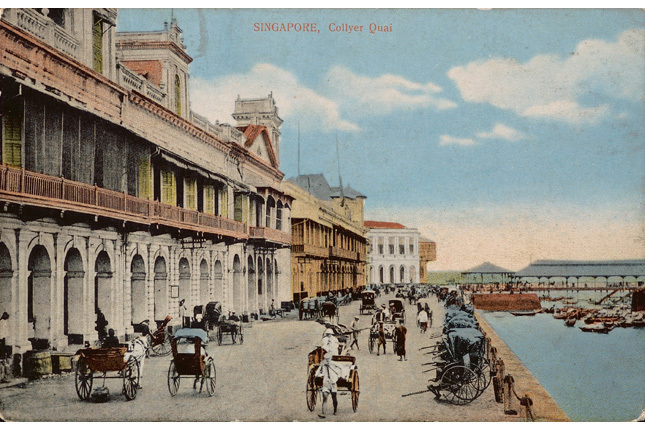 Clifford Pier was also conveniently located just beside Commercial Square (today’s Raffles Place) and more importantly, Change Alley, a popular area for many sailing crews who patronised its moneychangers and inexpensive goods. 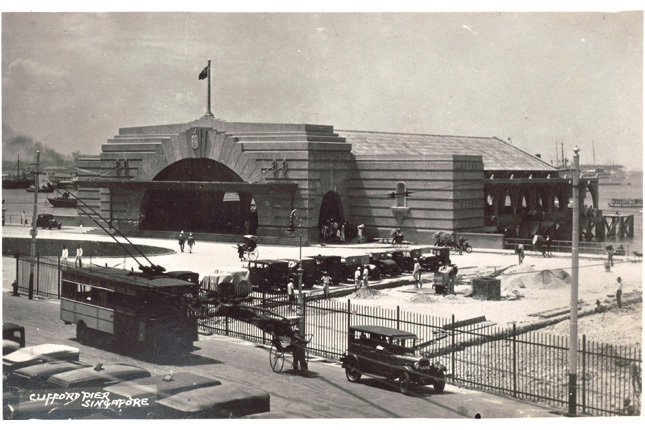 Over the years, Clifford Pier would continually experience transformation, from its post-war renovation in 1949, to its own version of “pop-up stores” in the form of street hawkers appearing in the Pier’s carpark late at night that catered to musicians and revelers looking for a taste of the city. The most major changes to Clifford Pier that we see today started back in 1970 with an S$120,000 facelift to introduce new shopping and office spaces to the area. 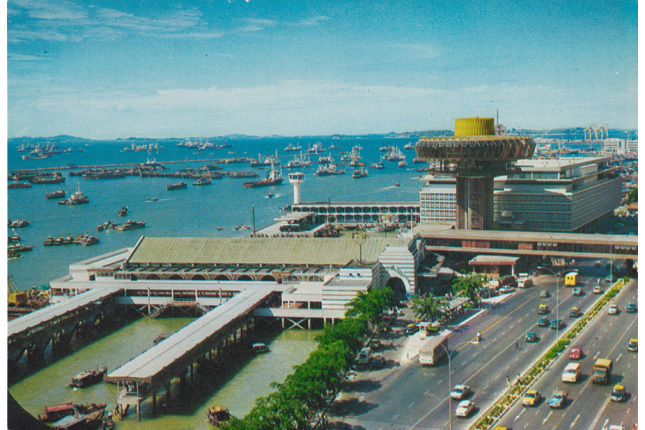 In 1973, the S$7-million Change Alley Aerial Plaza – an air-conditioned shopping complex that connected Clifford Pier to Change Alley was built. 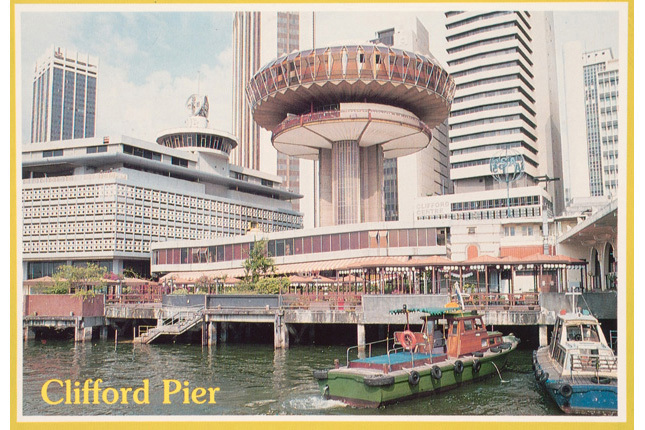 1978 also saw the introduction of the iconic Red Lantern Revolving Restaurant, while the 1980s would see Clifford Pier transition into an embarkation point for people looking to reach the Southern Islands. The pier became particularly packed during the ninth lunar month when devotees headed to Kusu Island for their annual pilgrimage. On 1 April 2006, the last bumboat left Clifford Pier for its relocation to Marina South Pier to make way for the construction of the Marina Barrage. On 14 March 2007, it was granted conservation status, with many of its architectural features preserved. Today, Clifford Pier is part of the Fullerton Heritage Project, highlighted by its transformation to The Fullerton Bay Hotel that provides dining and hospitality options to visitors along the Singapore waterfront.